If Salvia Isn’t Toxic or Addictive, What’s the Argument for Banning it? The New York Times has a fascinating piece on the growing hysteria surrounding salvia. Researchers are studying its medical potential, college kids are tripping on YouTube, and state legislators are trying to outlaw it entirely. All of this may soon provoke an illustrative glimpse at the philosophical dimensions of drug prohibition, in that salvia is powerfully psychoactive, yet shows no signs of addictiveness or toxicity. It isn’t causing crime or medical emergencies. The short duration of its effects allows users to indulge without becoming incapacitated to the point of impacting their daily lives. In short, salvia simply doesn’t fit into the pre-existing categories that drug warriors have carved out in order to justify prohibitions against other popular recreational drugs. So what will they say about it? Though states are moving quickly, Bertha K. Madras, a deputy director of the Office of National Drug Control Policy, said federal regulators remained in a quandary. "The risk of any drug that is intoxicating is high," Dr. Madras said. "You're one car ride away from an event that could be life-altering. But in terms of really good studies, there is just very little. So what do you do? How do you make policy in the absence of good hard cold information?" Is that a trick question? I give up, Bertha. How? This is the same woman who opposed distributing overdose prevention kits, based on the theory that overdoses might be good for people. So I'm sure she’ll eventually find a solution here that won’t require copious doses of scientific methodology. Rarely in the history of the war on drugs have facts or common sense ever gotten in the way of someone trying to outlaw something. Tell Joe Biden it makes you think you’re a unicorn and he’ll have the Saving American Lives from Volatile Intoxicants Act on your desk by nightfall. But if salvia is ultimately banned at the federal level simply because it makes you insanely high for 5 minutes, one might interpret that as a long-awaited acknowledgement that the war on drugs really is just an attempt to control our minds. Kenneth Rau, the Bismarck, North Dakota, man who suffers the dubious distinction of being the first person in the United States prosecuted under laws criminalizing the possession of salvia divinorum, has been offered a plea deal under which he would serve five years in state prison, he told the Chronicle this week. Salvia is not illegal under federal law. The DEA considers salvia a drug of interest, but despite several years of observation has yet to move to place it under the Controlled Substances Act. A DEA spokesman told the Chronicle recently that the plant is being reviewed to see if it meets the criteria for inclusion on the list of controlled substances. But driven by little more than the now infamous YouTube videos of young people under the influence acting strangely and the story of one Delaware youth whose parents blamed his suicide on salvia, state legislators have not waited for the DEA's measured considerations to act. Since Delaware became the first state to ban salvia, at least eight others, including North Dakota, followed suit. Moves are currently afoot in a number of other states to join the club, with Florida and Virginia being the latest states to pass laws criminalizing the plant. Salvia became illegal in North Dakota on last August 1, after a bill sponsored by three Republican lawmakers, state Sens. Dave Oelke and Randel Christmann and state Rep. Brenda Heller, sailed through the legislature earlier that year. None of the three legislators responded to Chronicle requests for comment this week. Rau has said he did not know the drug was now illegal when he bid on an eight-ounce bunch of salvia leaves and was pleasantly surprised when his $32 bid came in highest. The local TV station's web site has inadvertently supported Rau's contention. When the Chronicle first wrote about Rau's case in April, that site's online version of the news report about Rau's arrest was still pulling up salvia ads by Google. (From the east coast at least it is still doing so as of this writing.) 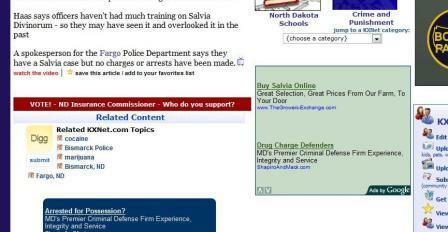 Rau emailed the link to Drug War Chronicle, proving that the salvia ads are showing up on computers in North Dakota. Burleigh County States Attorney Cynthia Feland did not respond to Chronicle calls seeking confirmation or denial of the plea deal. Rau said the deal was offered through his attorney, Benjamin Pulkrabek, from just across the Missouri River in Mandan. "My lawyer told me she offered me five years if I pleaded guilty," said Rau. "He said he didn't think I would take it, but he had to ask. He was right -- I am not going to accept that. I just don't think depriving someone of his freedom for some dried plant leaves is right." Rau, a bottling plant worker with an interest in herbalism, altered states, and religion and spirituality, was arrested by Bismarck police on April 9 when they searched his home looking for his adult son, who was on probation for drug charges. Police found a marijuana pipe, eight ounces of salvia leaf, a quantity of amanita muscaria mushrooms, and a number of other herbal products. Although Rau bought the salvia leaf on eBay for $32, he faces a possible 20-year sentence after being charged with possession of the now controlled substance with the intent to distribute, based on prosecutors' assertions that the leaf contained hundreds of possible doses. He also faces a marijuana possession charge for the pipe. Although prosecutors originally charged him with possession of psilocybin because of his amanita muscaria mushrooms, they have since figured out that amanita does not contain psilocybin and have dropped that charge. 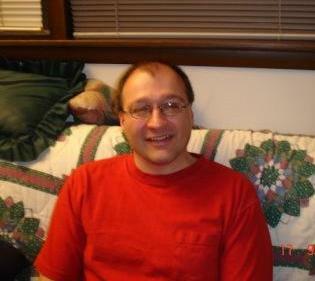 Daniel Siebert is a salvia researcher and host of the salvia information web site Sage Wisdom. In Siebert's view, while salvia should be subject to some sort of regulation, sending someone like Rau to prison for years for possessing it is almost obscene. I think salvia should be regulated in the same way we regulate alcohol," he said. "Its effects are quite different, but there are some parallels in terms of the possible dangers from its use. Like alcohol, people can exhibit dangerous behavior if they take excessively high doses. That's why we prohibit driving while intoxicated or allowing minors to drink. But it's obvious that many, many people can enjoy alcohol without getting into trouble with it, and they should not be subjected to harsh penalties. Neither should adults who want to use salvia." Not that the drug will ever be a popular recreational drug, he said. "Salvia can be very strange and interesting, but it's not something most people consider fun, it's not a recreational kind of experience," he said. "Most people find it bewildering; it's not something most people are motivated to repeat. It won't ever become a popular drug. The main reason people seem interested in it is because the media keeps putting out these sensational stories comparing it to LSD or marijuana. That creates a misleading impression, and people who try salvia expecting something like that are usually disappointed." "Siebert was sympathetic to Rau's predicament. "I'm shocked and appalled that they can put people in prison for using salvia for personal use," he said. "The drug had just been made illegal there, and he says he didn't know it was illegal. I think that's believable -- most people wouldn't know about an obscure law being passed." Kenneth Rau now faces a lonely struggle. North Dakota is not noted for its abundance of attorneys skilled in defending cases involving arcane plants, and national organizations have yet to respond to his entreaties for help, Rau said. Still, Rau is trying to get a defense together. "I'm hoping to take depositions from people like Dr. Andrew Weil or Daniel Siebert or other experts," he said. "I'm looking for attorneys in their vicinities who might be willing to take a deposition." And he hinted that he may also attempt a jury nullification strategy. "My defense will be to fall back on the fact that the jury is the ultimate judge of the law," he said. "They don't have to listen to the judge; they have the power. Let the jury decide what kind of state they want to live in," he said. No trial date has been set yet. In the meantime, Rau continues working full-time for a soft drink bottler and subjecting himself to court-ordered humiliations. "I'm trying to live my life," he said. "I've got a full-time time job and another one on the weekends. I also have to take pee tests twice a week and pay them $26 a week for that privilege, on top of trying to pay for lawyers." Efforts in state legislatures to ban or otherwise restrict the sale and possession of salvia divinorum, a fast-acting, short-lived psychedelic member of the mint family, continue apace. So far, ten states -- Louisiana, Missouri, Tennessee, Oklahoma, Delaware, Maine, North Dakota, Illinois, Virginia, and Kansas -- have passed laws criminalizing or restricting the sale and possession of salvia. More than a dozen other state legislatures are considering criminalizing the drug. One state where that won't be happening this year is Alabama, where bills sponsored by Sens. Hank Erwin (R-Montevallo) and Roger Bedford (D-Russellville) that would have scheduled salvia like marijuana failed to move in the legislature. They died Tuesday night, the last day for bills to be passed in the chamber where they were introduced. This marks the second year Alabama solons failed to act on a salvia measure. But Erwin and Bedford are undeterred and say they will be back again next year. They cited concerns for young people in seeking to criminalize the substance. That was enough for the Kansas legislature and Gov. Kathleen Sibelius (D), who late last month signed into law a bill criminalizing salvia possession and sale in the Jayhawk State. That law went into effect last week. The DEA, which is in charge of scheduling drugs at the federal level, has been reviewing salvia's status for several years, but has yet to determine that it qualifies as a dangerous drug needing scheduling under the federal Controlled Substances Act. But clearly, that isn't stopping legislators from going off half-cocked. A simple-minded and sensationalist press has been part of the problem, too, as Slate's Jack Shafer noted in Salvia Divinorum Hysteria, which is well worth the read. The Florida Senate Wednesday passed a bill, SB 340, criminalizing salvia divinorum, also known as "Diviner's Sage," among other nicknames. The Florida House approved a companion measure banning the fast-acting, short-lived hallucinogen last week. If, as expected, the bill is signed by Republican Gov. Charlie Christ, Florida will be the latest in what is a rapidly expanding list of states to take action against salvia. The state of Florida will protect the youth by subjecting them (and adults) to up to five years in prison for possessing salvia, which would be classified in the same category as LSD and marijuana under Florida law. Although lawmakers could cite little data about use of the herb, especially among teenagers, they said they were increasingly worried about children buying it online. The bill passed the Senate by a margin of 39-0 after limited debate. The House version passed by a 109-4 margin a week earlier. After Rau was arrested earlier this month, Bismarck police warned that it could be only the beginning in the fight against the member of the mint family. "It sure looks like there could be a market, based on the amount he had", Lt. Bob Hass told reporters. "This is the first we've seen of it." Hass did not return Chronicle calls for comment this week. Aroused by videos of young people using salvia divinorum on YouTube and spurred on by law enforcement eager not to miss an opportunity, legislators across the country have this year been raising the alarm about the fast- and short-acting hallucinogenic herb, despite the lack of any evidence that its use is harmful. In the latest outbreaks of salvia mania, the South Carolina and Florida Houses have passed a bill to criminalize the plant, a Massachusetts town has banned it, and police in North Dakota -- one of a handful of states where it is already illegal -- announced their first salvia bust. On Wednesday, the Florida House passed HB 1363, which would ban salvia possession and place it on the state's Schedule I, along with marijuana and other psychedelics as drugs with no accepted medical use and "high potential for abuse." Salvia has experienced "growing popularity among teens and young adults," said Rep. Mary Brandenburg (D-West Palm Beach), the bill's sponsor. It is not clear what evidence she based that claim on. A companion Florida Senate bill to ban salvia has already cleared committees and is ready for a floor vote. If it passes and is signed into law by Republican Gov. Charlie Crist, possession or sale of the drug would become a third degree felony in Florida. Six days earlier, the South Carolina House passed HB 4687, which criminalizes salvia and puts it in the same category as marijuana, LSD, and ecstasy. The bill passed with little discussion on a lopsided 101-4 vote. After one more routine housekeeping vote, it heads to the Senate. The bill was pushed by law enforcement and drug prevention groups despite little evidence it is being used in the state. Neither local law enforcement nor the State Law Enforcement Division (SLED) officials consulted by The State newspaper were aware of any reports of its use. "SLED hasn't seen this substance in South Carolina at this point, but we're certainly prepared to enforce this new law if it is passed," said Richard Hunton, SLED inspector. North Dakota law enforcement had its chance earlier this month, when they arrested a Bismarck man for possessing eight ounces of salvia leaf. (The drug is most commonly ingested by smoking salvia extracts, which are significantly more potent than the leaf.) Kenneth Rau has been charged with salvia possession with intent to deliver in what North Dakota cops believe is the state's first salvia bust. Now, they're looking for more, Lt. Bob Haas of the Bismarck Police told WDAY-TV6 News. "It sure looks like there could be a market, based on the amount he had. This is the first we've seen of it." Even some towns and cities are getting in on the act. The most recent is West Bridgewater, Massachusetts, where city selectmen voted to ban the plant this week. Although Massachusetts is among the states considering action against the member of the mint family, the state was not moving fast enough for the West Bridgewater folks. "What makes Salvia divinorum dangerous is that it has hallucinogenic properties like LSD and it can be purchased on the same Web site where you find Beanie Babies and baseball cards," Selectman Matthew Albanese said. "I can't imagine why the Drug Enforcement Agency has Salvia listed as a 'drug/chemical of concern' as opposed to a 'controlled substance,'" Albanese said. Albanese might have asked the DEA. The Chronicle did three weeks ago, and DEA spokesperson Rogene Waite told us that the agency is following procedure by evaluating eight factors listed in the Controlled Substances Act in determining whether or not to schedule a drug. Unlike Massachusetts selectman or various state legislatures, (this time at least) the DEA seems to actually be waiting for evidence before it acts. Since 2005, seven states have restricted use of the substance. And about a dozen other states have similar legislation pending. Editor's Note: Eric B. Wilhelm is an intern at StoptheDrugWar.org. His bio is in our "staff" section. As the recent frenzy over the herb salvia divinorum and attempts to ban it have heated up in a number of states, the opportunity to honestly and realistically discuss the matter in terms of drug policy has been mostly lost in favor of irresponsible journalism and knee-jerk political reactions. Opportunistic politicians have come out with particularly harsh demands for criminalization in order to appear protective of troubled youth, while journalists stand by, failing to challenge orthodox prohibitionist assumptions. One example of rampant alarmism and distortion is the March 11 article by the Associated Press entitled "Is Salvia the Next Marijuana?" Without even detailing how this widely distributed piece is unbalanced and lacking, we can merely examine the title to see the way that utterly misleading beliefs about drugs are perpetuated by the media. It's really quite simple why salvia is so far from being "the next marijuana." The offending article itself establishes early on that the herb "is a hallucinogen that gives users an out-of-body sense of traveling through time and space or merging with inanimate objects." Even the most dishonest drug warrior wouldn't claim marijuana does anything like that to users. Other recent articles quote users who say the salvia high is simply not fun or long-lasting enough to make people want to try it more than once. Marijuana lasts much longer, often induces euphoria and laughter, and merely alters the user's perceptions a bit -- it does not immediately "blast them into outer space." Because the dissociative and hallucinogenic qualities of salvia are so intense and jarring to the psyche, few choose to consume it very frequently. The tens of millions of Americans who use marijuana generally are not looking to dissociate themselves from their bodies or their surroundings, but often to do the very opposite - to enhance their experiences or simply to relax in their surroundings. Anyone who has any doubt that the use of a hallucinogen will never overtake marijuana use can check the Monitoring the Future survey of drug use by high school students. The most recent data shows that for every 12th grader who used ANY hallucinogen (LSD, magic mushrooms, PCP, mescaline, salvia etc.) in the past month there are 11 who have used marijuana in that time. Looking beyond the absurdity of claims that salvia may become the "next marijuana," in terms of popularity or frequency of use (as implied by the media hype), there are a few ways in which salvia may become quite similar to America's favorite illegal drug. As salvia becomes a banned drug in more and more states, illicit drug dealers will no doubt pick up the slack in demand. Curious adolescents will no longer have to find their way to the head shop across town in order to buy some -- trying to convince someone 18 or older to actually buy it if they are underage -- because their neighborhood drug dealer might be offering it to them the next time they score some pot. Alternatively, salvia users who grow their own plants in their home or garden, which is reportedly an easy task, will soon become the subject of the kind of SWAT raids that often claim the lives of innocent people. By the way, this little bit of gardening will get you a mandatory minimum of 2 years in prison in Louisiana. I have to wonder whether concerned citizens who are passionately calling for outright criminalization have truly considered what the potential results of their demands. In some states the possession of salvia is a felony, which could include years in prison and hard labor. We ought to seriously consider whether we want the government and police to be deciding how to deal with young people who begin experimenting with this substance or if the guidance or punishment should be left up to parents. Is hard labor really what a bored and curious young person needs to "straighten them out"? And what about the users of salvia who claim to be consuming the drug responsibly and for the purpose of gaining spiritual insight or to foster deep introspection? How will society at large benefit from spending our collective resources tracking down and imprisoning them? If it makes no sense criminalizing salvia, how can we justify the rest of the War on Drugs? There is no way to arrive at a rational drug policy without asking such questions. As it stands though, challenging conventional beliefs about drug laws is about as alien to most politicians as salvia trips, so the task of thinking clearly and demanding change belongs to the people. Nearly a year ago, we reported on mounting efforts to ban salvia divinorum in states and localities around the country. Since then, the war on the hallucinogenic plant has only intensified, despite the lack of any evidence that its use is widespread or that it has any harmful physical effects on its users. Salvia is a member of the mint family from Mexico, where it has been used by Mazatec curanderos (medicine men) for centuries. Within the past decade, awareness of its powerful hallucinogenic properties has begun to seep into the popular consciousness. Now, it is widely available at head shops and via the Internet, where it can be purchased in a smokeable form that produces almost instantaneous intoxication and a freight train of a trip lasting a handful of minutes. Fueled largely by the appearance of salvia-intoxicated youths on YouTube (there were some 3,500 such videos at last count), law enforcement's reflexive desire to prohibit any mind-altering substances, and legislators' wishes to "do something" about youth drug use, efforts to ban the plant are spreading. While some states have stopped at limiting salvia's use to adults, most recently Maine, more have banned it outright. Legislative measures affecting salvia have been filed in 16 more states too, as well as a number of towns and cities. In 2005, Louisiana became the first state to ban salvia, making it a proscribed Schedule I controlled substance. Since then, Delaware, Michigan, Missouri, North Dakota, and Tennessee have joined the list. (Tennessee bans ingestion -- it's a Class A misdemeanor -- but not possession. All the others excepting North Dakota have placed it in Schedule I.) In Oklahoma, only concentrated salvia is banned. Salvia is also a controlled substance in Australia, Belgium, Denmark, Estonia, Finland, Italy, Spain and Sweden. The press has also played a role in stoking fears of salvia and misstating its popularity. "Salvia: The Next Marijuana?," asked the Associated Press in a widely-reprinted story earlier this month. Chris Bennett, proprietor of Urban Shaman Ethnobotanicals in downtown Vancouver, just laughed at the "salvia is the next marijuana" meme. "Anyone who says that is demonstrating their complete lack of knowledge of either salvia or marijuana," he said. "There is just no comparison. Cannabis is a mild relaxant and euphoric, while salvia is a very fast-acting visionary substance where some people report out of body experiences." Researchers say that while salvia's effects on consciousness may be disquieting, the plant has not been shown to be toxic to humans, its effects are so potent is unlikely to be used repeatedly, and its active property, salvinorin A, could assist in the development of medicines for mood disorders. While action at the state level would unlikely affect research, a move by the DEA to put it on the controlled substances list could. There are hazards to messing with hallucinogens, one expert was quick to point out. "It's an hallucinogen, and while its hallucinogenic actions are different from those induced by LSD and other hallucinogens, it has the liabilities that hallucinogens do," said Bryan Roth, a professor of pharmacology at University of North Carolina's School of Medicine, the man who isolated salvinorin A. "When people take it, they are disoriented. If you don't know where you are and you're driving a car, that would be a bad experience." The DEA has been evaluating salvia for several years now, but there is no sign that it is ready to take action. "Salvia is a drug we are currently looking at to see if it should or should not be scheduled," said Rogene Waite, a spokesperson for the DEA, which is tasked with evaluating potential drug "threats." The agency has initiated the process of evaluating the eight factors listed in the Controlled Substances Act in determining whether or not to schedule a drug, she said. "There is no time frame or limit on this process," she said, providing no further hint on when or if ever the DEA would move to add salvia onto the federal list of controlled substances. But legislators across the land are not waiting for the DEA. In California, Assemblyman Anthony Adams (R-Hesperia) introduced a bill that would ban salvia for minors at the urging of the San Bernardino County Sheriff's Department, he told the Riverside Press-Enquirer. "If you have the opportunity to get in front of an emerging drug, I think, geez, you should do that," said Adams, whose district includes San Bernardino and Redlands. On the other side of the country, Massachusetts state Rep. Vinny deMacedo (R-Plymouth) is cosponsoring legislation that would criminalize salvia possession. "I believe by not making this drug illegal we are sending a message to our youth that it is okay, and there is no way that a drug that causes such mind altering effects on an individual should be considered legal," deMacedo told the Plymouth News. Again, legislators took action after being alerted by law enforcement. DeMacedo said he agreed to sponsor the bill after hearing from Plymouth County Sheriff Joseph MacDonald. "I'd never heard of it before," deMacedo said. "It creates this psychedelic-type, mind-altering high, similar to LSD. I thought, 'You've got to be kidding. Something like this is legal?'" In Florida, Rep. Mary Brandenburg wants to save the kids by sending anyone possessing salvia to prison for up to five years. "As soon as we make one drug illegal, kids start looking around for other drugs they can buy legally. This is just the next one," she explained. While legislators attempt to stay ahead of the curve by banning any new, potentially mind-altering substances at the drop of hat, their efforts are misdirected, said Urban Shaman's Bennett. The YouTube kids may be the public face of salvia, but they are only a minority of users, he said. "It's all ages," he said, adding that his store does not sell to people under 18. "Every time there is some media attention, I get a bunch of middle-aged people coming in and asking for it." Salvia is not a party drug, said Bennett. "The most serious users are people seeking a classic shamanic experience, seeking a visionary experience as part of their spiritual path. They feel they're accessing a higher level of consciousness," he explained. "And even they don't seem to use it more than once a month or so." For all the commotion surrounding salvia, there is very little evidence of actual harm to anyone, said Bennett. "You'll notice you don't hear anybody talking about organic damage to the human organism," he said. "This is all purely fear and loathing of people having a visionary experience." What little data there is on salvia use and its effects tends to bear him out. There are no reported deaths from salvia use, with the exception of a Delaware teenager who committed suicide in 2006 at some point after using it. (That unfortunate young man is widely cited by the proponents of banning salvia, even though there is no concomitant wave of salvia-linked suicides. Also, he was reportedly taking an acne medication linked to depression and had been using alcohol.) Users are not showing up with any frequency in mental hospitals or hospital emergency rooms. While the YouTube kids may present a problematic public face of salvia use, there's not much to be done about that, said Bennett. "You can't control that," he shrugged. "And so what? Some kids are having a powerful visionary experience for five minutes on YouTube. Why is that somehow more threatening than watching someone in the jungle take ayahuasca or something on National Geographic?" Bennett, for one, has no use for a ban on salvia -- or any other plant, for that matter. "We have a fundamental natural right to have access to all plants, and I don't care if it's salvia or marijuana or poppy or coca. That's just as clear-cut as our right to air and water," he said. But Bennett's perspective is not one widely shared by legislators in the US. Instead, they reflexively reach to prohibit that which they do not understand. And the very "kids" they claim to be saving will be the ones going to prison. A bill to ban the hallucinogenic herb salvia divinorum was approved by a vote of 98-0 in the Virginia House of Delegates Tuesday, paving the way for the Old Dominion to join the handful of states and localities that have already criminalized the member of the mint family. The measure now moves to the state senate. 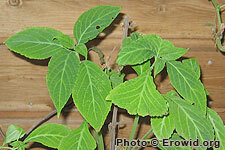 Salvia divinorum produces powerful but short-lived psychedelic effects. Once obscure, it has become increasingly well-known thanks to Internet-spread word of mouth. While the DEA considers it a "drug of interest," the agency has yet to move to designate it a controlled substance, and it remains freely available over the Internet or at various retail outlets in locales that have not banned it. Sponsored by Delegate John O'Bannon (R-Henrico), HB21 would move salvia from unrestricted status to a Schedule I controlled substance under Virginia law. O'Bannon said he introduced the bill after receiving suggestions he do so from law enforcement. "It's really not a pleasant thing to take. It can cause bad trips, dysphoria and sweats," O'Bannon said, in remarks reported by The Commonwealth Times, the student newspaper at Virginia Commonwealth University and the only Virginia media outlet to pick up the story. Which is why, despite all the hullabaloo, salvia has not emerged as a popular drug. Most users are quite happy to limit themselves to using it once or twice. O'Bannion demonstrated an idiosyncratic view of individual liberties as he discussed his bill. "I'm respectful of individual liberties and public good. I think what's happening is this is becoming a drug that can be misused," O'Bannon said. "Putting it on the Schedule I will not harm anybody," he said, but would make "a reasonable balance between public safety and civil individual liberties." Of course, putting salvia on Schedule I, where its users would be subject to the same prison terms as the users of other proscribed drugs, would harm those people unfortunate enough to be arrested with it. But O'Bannion and his fellow delegates apparently didn't consider the impact that being caged in jails or prisons for long periods of time has on individual liberty.